At Tar River Elementary School we use best practices with high expectations to prepare our students for the world. 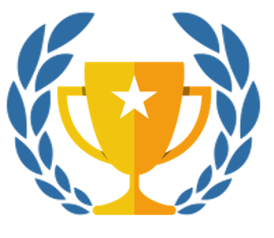 Our students will be recognized as high achieving problem solvers. They will be confident learners who will access a variety of resources & tools in their investigative adventures. Students, staff, and families will work together in a positive environment to support learning. On Thursday, July 26 2018, air quality tests were conducted at Tar River Elementary School. An independent laboratory conducted 13 random air samples and the results indicated that there was a normal indoor fungal ecology. Good news for the students and staff! The official reports are posted below for your review. This is a message from our Cafeteria Manager, Darlene Foster, concerning what to do when your child is bringing in money to apply to their account. All prepaid money for breakfast and/or lunch needs to be in an envelope or ziplock bag with the students name or lunch number on it. There will be a locked drop box outside the kitchen that the money can be dropped in by the student or by the parents. The TRES Lending Library contains books for parents/guardians on a wide array of topics to help you guide and nurture your children. This is a free resource for Tar River families. The lending library is located outside the School Counselor’s office. You can come in, review the books and check one out. If you can’t come to the school, you can print and complete this form and send it in with your child. We will send the book home with your child. Books can be checked out for 1 month and we ask that you please return it once you are finished reading. We hope you will take advantage of these reading opportunities. Kelso’s Choice, is a leading tool for teaching conflict management skills for children Pre-K through 5th grade. Home of the beloved choice wheel, this conflict resolution curriculum teaches children the difference between big problems and little problems. 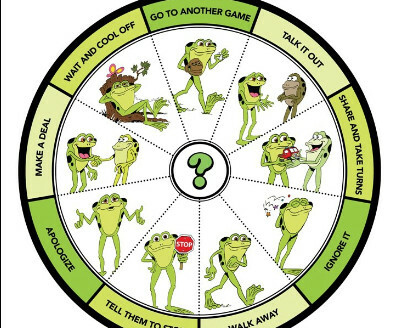 Kelso the frog is a fun and engaging way for children to learn conflict management. At Tar River, students learn about Kelso's Choices in Kindergarten and we have review lessons/activities in 1st-5th grades. Click on the document below to learn more about the program. TRES sends a BIG welcome to our new principal and Assistant Principal, Courtney Currin and Mary Warehime! Courtney is joining us from Butner-Stem Elementary where she was their principal for 3 years. Mary is coming from Granville Early College taking on a whole new role. The Terrapin Family looks forward to working with them as they become our new leaders. We are excited to welcome 3 new teachers to our Terrapin Family! They have shared a little bit about themselves so we can get to know them better. I am sure when you meet them you will give them a warm Terrapin welcome! My name is Mrs. Ellis, and I am so excited to join the wonderful 3rd grade team at Tar River Elementary on October 1! I am even more excited to have the privilege of becoming your child’s teacher. Teaching is my passion, and we are going to have a year of fun, learning, and adventure. I can’t wait to see what the year has in store for us! I have high expectations for my students and will do all that I can to ensure your child has a successful year in 3rd grade. With that said, I’d like to share a little about myself. I graduated from East Carolina University with a B.S. degree in Business Administration in Marketing. I also attended North Carolina Central University where I received my teaching certificate in Elementary Education. I have been teaching for 16 years. This is my 14th year teaching 3rd grade, so I think you can infer that I LOVE 3rd graders! I am married to my best friend. We have one son who just got married this summer. Now I have a beautiful daughter-in-law. When I am not teaching, I enjoy going to the beach, shopping and watching football - Go Wolfpack! I am looking forward to working with you and your child. I am a very open and caring person, so please feel free to come to me with any concerns. It’s so important to keep open communication between us. Remember…when both teachers and parents are inspired to facilitate learning, the children are the winners. If you have any questions and/or concerns, please feel free to contact me at the school (919-528-2767) or by email. I look forward to a great year together! My name is Mrs. Pulliam, and I am so excited to be a part of the Tar River Elementary 3rd grade team! More importantly, I am delighted to be your child’s teacher this school year. This is going to be a fun learning adventure for us all. I have high expectations for your child, and I will do all that I can to help your child achieve academic excellence. I am looking forward to getting to know you and your child, and I’d like to start by telling you a little bit about me. I am married to an awesome man, and we have two handsome sons. I attended North Carolina Agricultural & Technical State University in Greensboro, NC, and received a B.S. in Business Administration Management. I also attended North Carolina Central University in Durham, NC, and received my teaching certification in Elementary Education. I have experience teaching 2nd grade, 3rd grade, & 4th grade, with most of my experience teaching 3rd grade. Although I am new this year at Tar River Elementary School, I taught for several years in Granville County prior to teaching in Vance County. When I am not teaching or planning exciting things for us to do at school, I enjoy reading, shopping, and spending quality time with my family and friends. I’m looking forward to working with you and your child this school year. And remember… parents are teachers too! Working together, we can ensure that your child has a successful school year. If you have any questions and/or concerns, please feel free to contact me at the school (919-528-2767) or via email. I am so excited and thrilled to be teaching 5th grade! Fifth graders are the leaders in elementary, this is your year! This will be my first year as a teacher at Tar River Elementary. My goal is to make sure that every student in my classroom maximizes his or her fullest potential (academically and socially). My name is Roderick Taylor. I am from Oxford, N.C. and a graduate of J.F. Webb High School. I received my undergraduate degree from North Carolina Central University (Go Eagles!). It’s an honor and privilege to be teaching in the same district from where I graduated. Your child is cared about! I value your ideas, thoughts, and opinions. Everyone has unique talents and strengths that they will bring to the classroom, and I can’t wait for you to share those things with me as well as with your classmates! I look forward to learning more about you! Again, if you have any questions or concerns, please don’t hesitate to email me. I look forward to making this year the best year possible for each of my students. We will strive to new heights and achieve goals throughout the year! See you soon!